Love the Virginia House but don’t need that much space? We’re now offering the first floor only at a lower rate to allow guests with smaller numbers to still enjoy this lovely home. Virginia House has one bedroom on the main level with a queen size bed. The living area includes plenty of seating with a queen size sleeper sofa and a large flat screen HDTV. The living area also has a gas fireplace to enjoy in the cool mountain evenings. A bathroom with a shower is also on the main level. 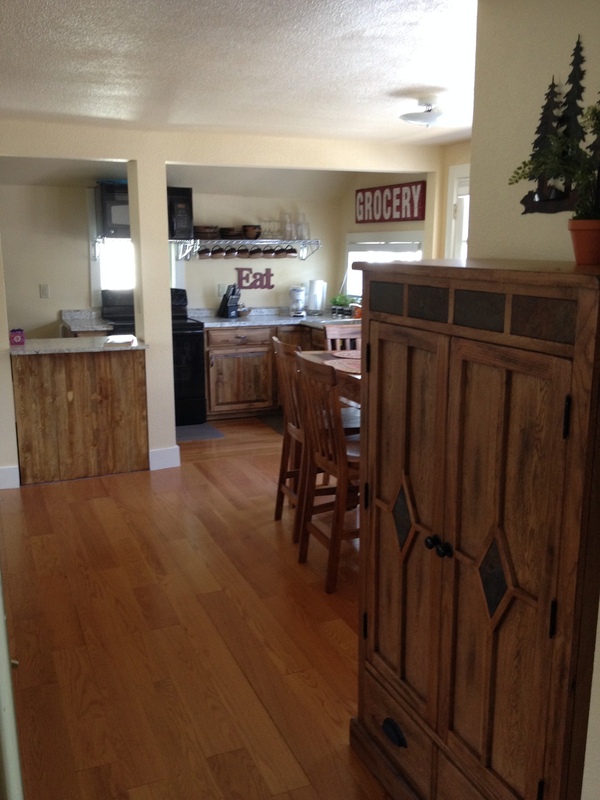 The kitchen is fully equipped and the dining area has a pub style dining set with seating for 6. An outdoor charcoal grill is available on the side patio with outdoor dining. A washer/dryer is also on the main level. The flooring is oak hardwood throughout. This cottage is about 100' north of our main property. Queen bed in the bedroom on the main level. Fully equipped kitchen with place settings for six; pots and pans, cutlery. Welcome to the Virginia House!